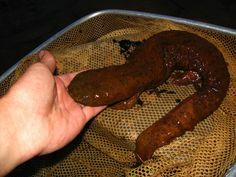 Hellbenders (Cryptobranchus alleganiensis) are extremely large, completely aquatic salamanders native to the eastern United States. The largest hellbender ever recorded was nearly 21/2 ft. long. 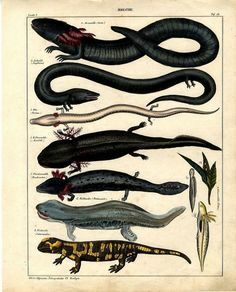 These salamanders need cool, clear streams and rivers with many large rocks. They feed almost entirely on crayfish, but will also eat small fish, invertebrates, and other hellbenders. They will also scavenge for anything that smells good (or bad, depending on your outlook)– this is why they are often caught on fishing lines. Cool, clear streams are important because hellbenders breathe entirely through their skin! They have lungs, but rely on the thousands of capillaries found in the fleshy folds of skin along their body and legs to get oxygen from the water. Hellbenders live a long time! The oldest known hellbender in captivity was 29 years and individuals in the wild likely live that long or longer. Because they live so long, the removal of adults from the wild can cause populations to dwindle. 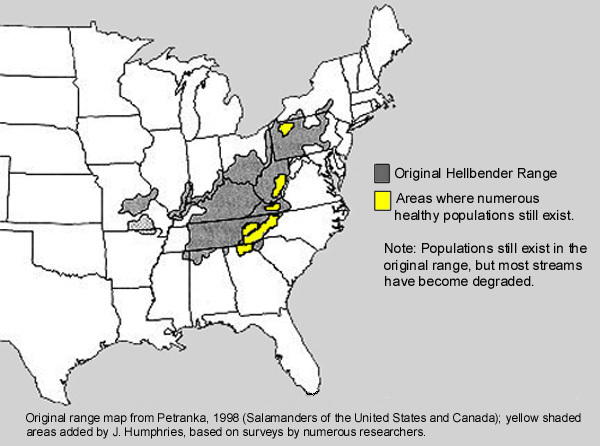 Hellbenders were once widely distributed throughout the Appalachian Mountains and across the midwestern United States to the Ozark Mountains of Arkansas and Missouri (see map). There are actually two subspecies of hellbenders. The Ozark subspecies (Cryptobranchus alleganiensis bishopi) only occurs in northern Arkansas and southern Missouri. The eastern subspecies makes up the rest of the range. In general, hellbenders only occur in Gulf of Mexico drainages, or those streams that eventually flow to the Mississippi River. One exception is the Susquehanna River in New York and Pennsylvania, which flows east to the Atlantic Ocean. 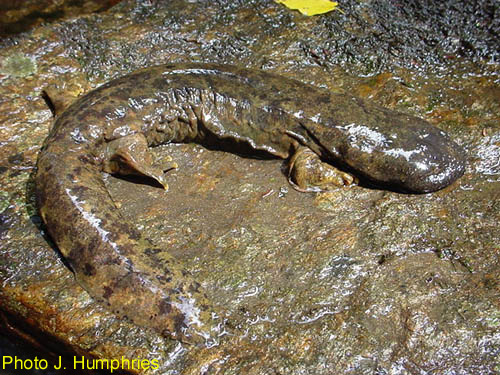 Hellbender populations have drastically declined throughout their range, mainly because of declining stream quality. 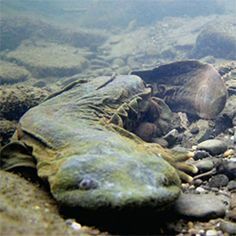 Today, hellbender populations generally occur in small pockets of habitat and the most abundant populations are now restricted to mountainous areas with little human settlement. 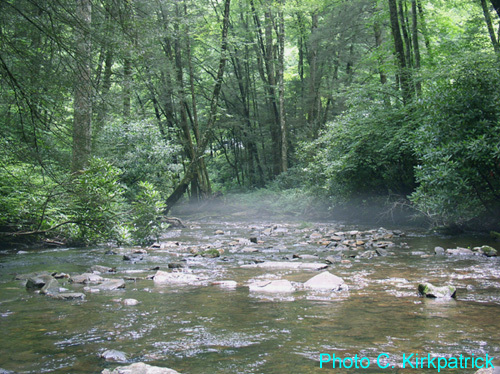 The last great hellbender streams likely occur in a narrow region of rugged mountains extending from eastern West Virginia south through Virginia, North Carolina, Tennessee, and ending in north Georgia. A small area of northwestern Pennsylvania also harbors several good watersheds. With what some would consider ugly looks and a name like ‘Hellbender,” its easy to imagine that these creatures are pretty misunderstood. Hellbenders are not venomous, though their skin secretions are somewhat toxic (I don’t recommend touching your eyes after handling one). They will bite, but only if they are really provoked. A common myth is that hellbenders will ‘ruin’ good fishing streams by eating all the fish. This couldn’t be farther from the truth! 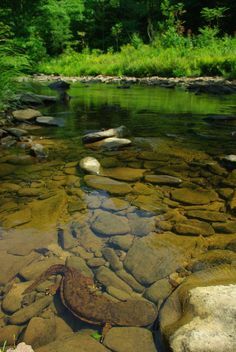 In fact, if you see hellbenders in a stream, this is an excellent indication that the water quality is still good — and this is good for both hellbenders and game fish. 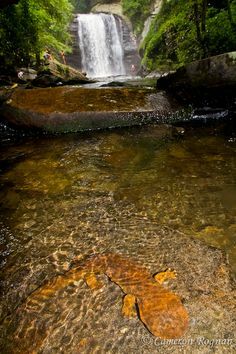 The hellbender’s voracious appetite for crayfish also means that they are very important for keeping a stream’s food chain balanced, and this is good for fish and the entire ecosystem. If you catch a hellbender while fishing, please remove the hook using pliers or a pair of gloves and release the hellbender.